Middleweight. Not Middle Of The Road. The initials CBR are known on racetracks the world over. So you can be sure that any Honda that carries them has truly earned them. 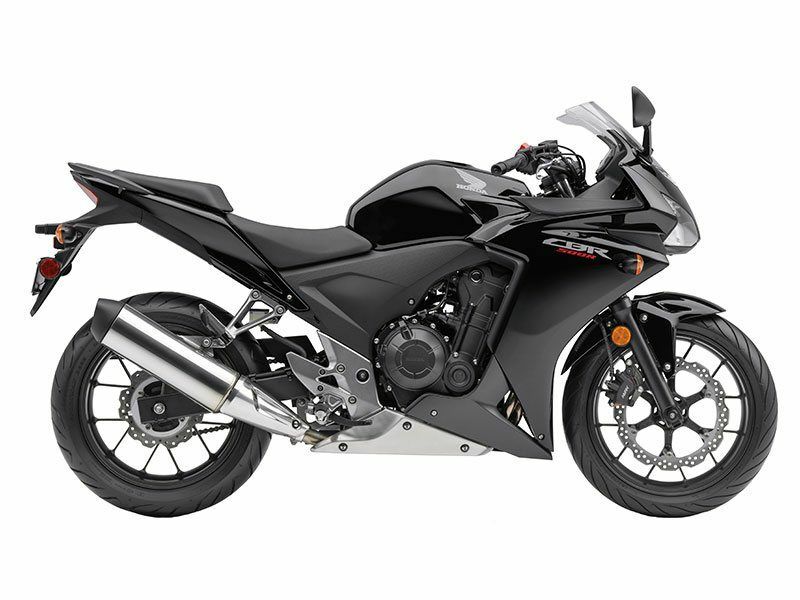 The CBR500R is no exception. Equipped with bodywork inspired by CBR600RR and CBR1000RR, it tells the world you’re riding a sportbike from the winningest company in the world. Its lightweight 471 cc engine delivers smooth power all the way to the redline thanks to its Programmed Fuel Injection, while its sport-tuned chassis with steel tube frame and Honda’s unique Pro-Link suspension let you carve corners with confidence—especially since you have anti-lock brakes triple-drilled disc at your command. The CBR500R is the perfect next bike for riders ready to move up a displacement class, or for anyone who knows that a 500 is the perfect do-it-all street machine.